Oh, just want I'm looking for! 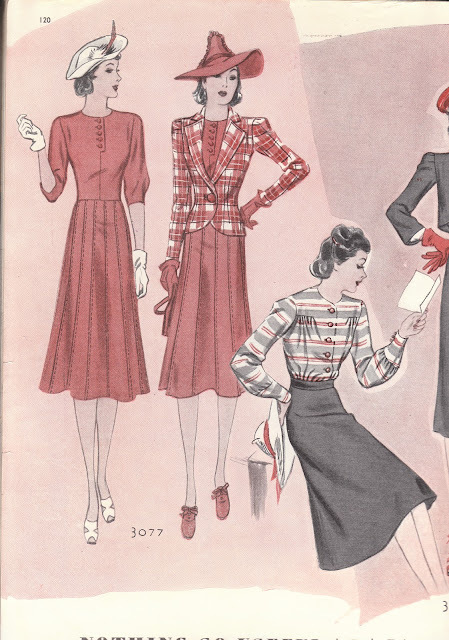 The first one is my favourite, the sleeves and the topstitching on that dress is wonderful. 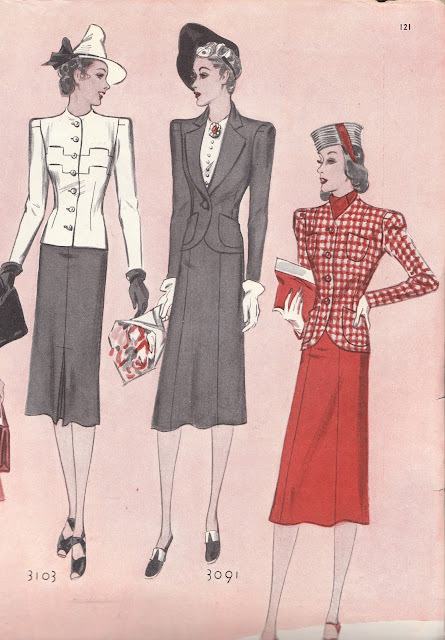 Plus the shape of the jacket is so much more flattering than the boxy jackets of the 40s. Love it! I love everyone, but especially I love, love, love the white jacket of 3103. (The last photo) I also try hat ...... It's adorable! I agree with Rosy, that jacket is amazing! I also really like the skirt from 3077. I love the first one...3077? I wish I could wear a high collar like that! 3103's jacket is amazing. I love suit and dress combos from this era! I can see 3077 in a pretty cotton floral with a tweed topper. I love the skirt and jacket combo in mcall 3107. It would look great with one of your hot pink blouses underneath. 3077, for sure! Especially the red hat that goes with the suit-y version. I must find a pattern/make one of those hats. 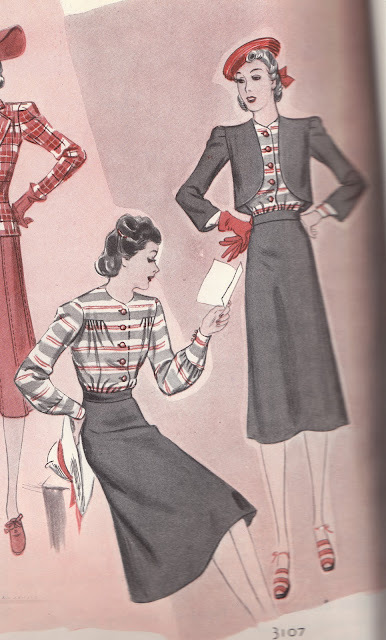 I love the blouse at 3107.
oh sorry forgot to tell you 3103 would be amzing in a beautiful gabardine. those seams look like a nightmare though.